Syrup adds flavor and excitement to soda, cocktails, desserts. Loose leaf tea is the most common method of preparation around the world, unlike in the western countries where teabags are the primary choice. It seems like we will do anything to avoid having to wash a dish out here. In that spirit, pre-batching a flavored syrup for your enjoyment is a time saver and turns a tea break into a luxury. Green tea is one of the most consumed beverages the world over. Originating in China and propagated around the world by the British and Dutch empires, camellia sinensis is a plant that changed the very fabric of society. Green tea in particular is loaded with health benefits, and in addition to its caffeinated boost, it helps the body fight off free radicals. 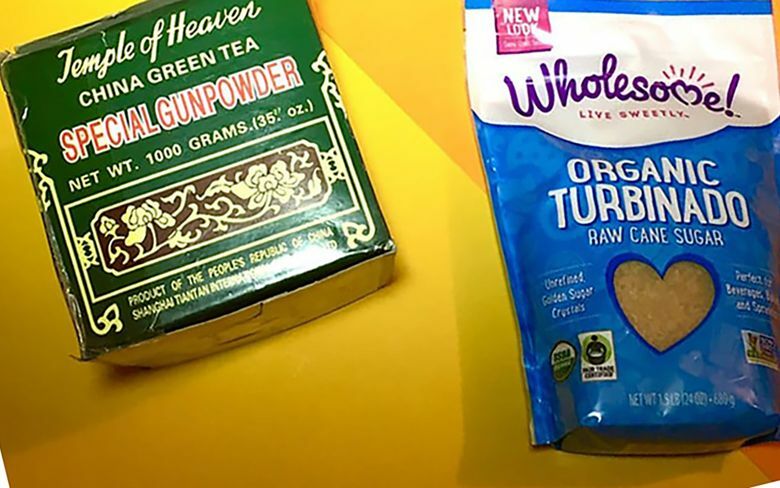 When combined with cannabis, green tea can wake you up and medicate in a single swoop, great for an afternoon pick-me-up. Using green tea syrup in beverages and foods is not new either, but having it on hand at home can shake up your normal tea ritual. Making syrup is not very difficult, and crafting soda, cocktails, and desserts with this level of flavor tastes like 10 times the effort. Place tea in a glass jar or measuring cup. In a small saucepan, heat up sugar and water until it just comes to a boil. Turn off heat and allow to cool for a minute or so, then pour over tea. Allow to steep for five minutes. Strain into sterilized container. The rich flavor of the tea is extra concentrated and extra sweet, which is the way that this brand in particular is prepared. The brand Temple of Heaven is available at many types of Asian markets and Amazon. It is delicious and strong, perfect for a cool afternoon. Preparing a giant pitcher of sweet iced tea is a snap with this syrup recipe, just be sure to label it so no one accidentally drinks this herbal tea unsuspectingly. Mix in tincture while syrup is warm. Store in fridge up to four weeks. Serve 1 ounce at a time and top with seltzer for a refreshing soda, drizzle over ice cream, or use as sweetener in a cocktail recipe. In an oven-safe container double-sealed with foil, decarboxylate 3.5 grams finely ground cannabis at 225 degrees Fahrenheit. Put cannabis in a mason jar or vacuum-sealed bag, pour over 2 ounces vegetable glycerin and seal tightly. Place in a water bath at just under boiling for 1 hour. Strain and keep contents in a sterilized container. Stores indefinitely in freezer.